Ever since his widely acclaimed debut LP »Migrations« was released in 2006, tone color has always been an important aspect of Emanuele Errante’s music. Drawing from both electronic and acoustic sources, his compositions paint impressionistic vignettes with sonic intensities. His fourth LP »The Evanescence of a Thousand Colors«, his second solo release on the Berlin-based Karaoke Kalk label, deals more explicitly with color than before. The album’s title plays with the double meaning of term and was inspired by a TEDx Talk by the US-American scientist Pratyusha Pilla on the subject of colorism, i.e. discrimination based solely on skintone. »I felt like I wanted to say something about the shameful racist regurgitation that we are experiencing in almost all the countries that claim to be the champions of civilization,« says the Italian composer about the topic that informed his new album. »Pratyusha lit a light in me.« In fact, a passage of her lecture is sampled on the album’s centerpiece »Beauty«, making Pitta a protagonist of the album on which voice can be heard loud and clearly. 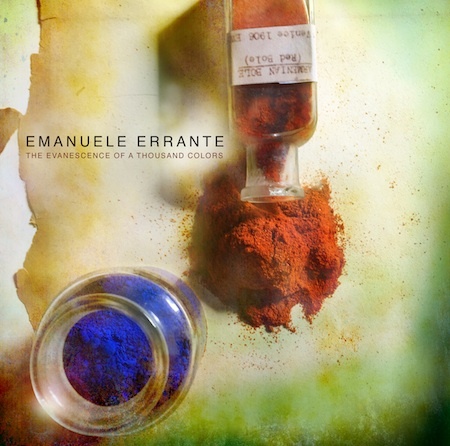 Errante’s music feeds on gentle guitar sounds, classical instrumentation, field recordings, and electronic elements that range from rhythmic ambient to granular noise. The eight tracks at times recall the early works of Oval and Fennesz or even Aphex Twin while showcasing the Italian’s trademark approach to electroacoustic minimalism. As a follow-up to Errante’s recent collaboration album with Dakota Suite and Dag Rosenqvist on Karaoke Kalk, the sonically rich soundscapes of »The Evanescence of a Thousand Colors« again highlight the importance of listening to one another – they are an almost wordless appeal for a more colorful world.